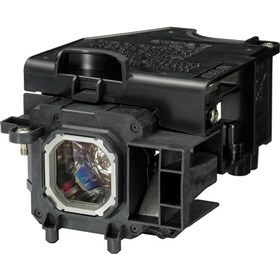 The NEC NP15LP is 180W replacement lamp for NP-M260W, NP-M260X, NP-M271X, NP-M300X and NP-M311X projectors. It is used to quickly and easily display information in meeting and conference rooms. This lamp unit has a life of approximately 3400 hours in normal mode, or 6000 hours in ECO mode. The NEC NP15LP has many exciting features for users of all types. The NEC NP15LP is sold as a Brand New Unopened Item.